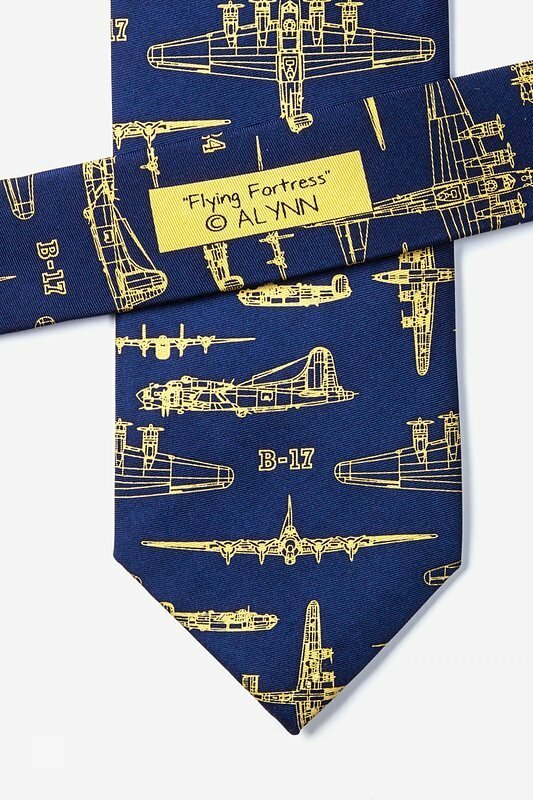 Earn your rank in the dashing Flying Fortress Tie by Alynn Neckwear. 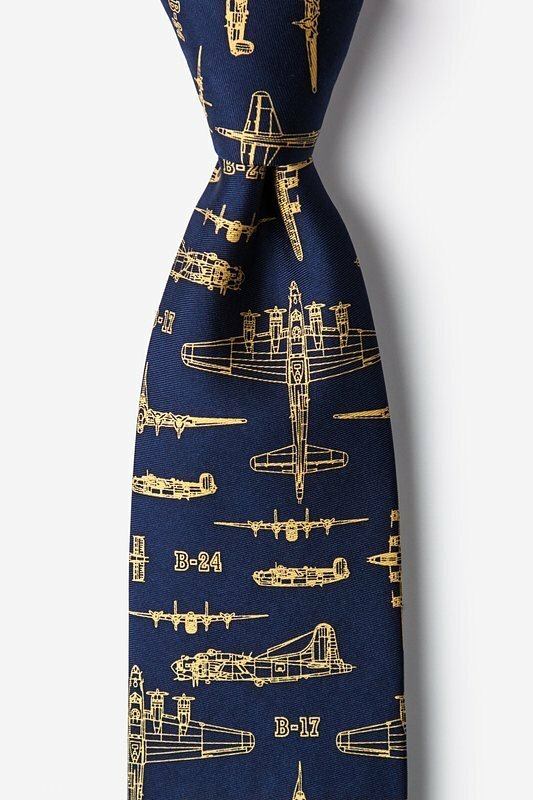 Honor the past with this 100% silk WWII bomber-inspired navy blue necktie. 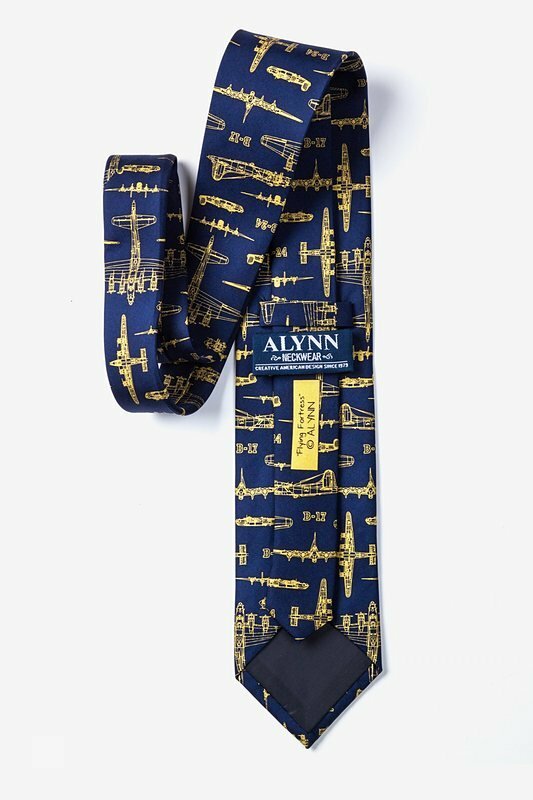 This piece features m... read more Earn your rank in the dashing Flying Fortress Tie by Alynn Neckwear. 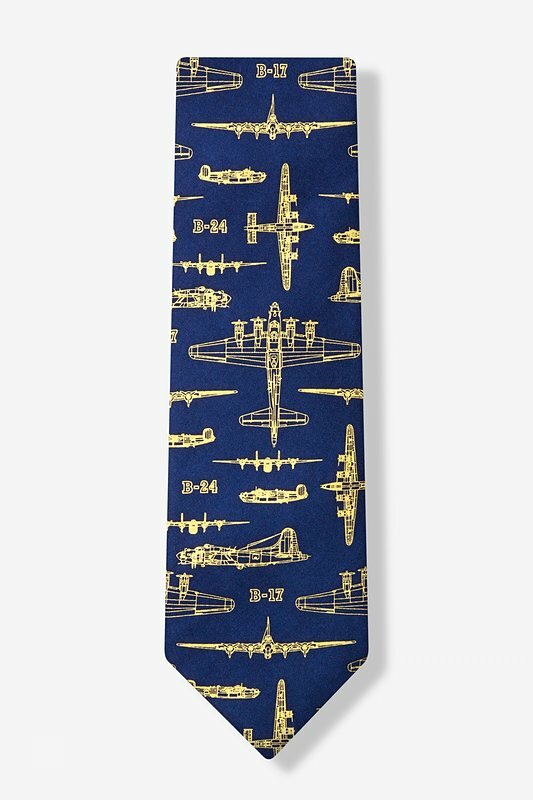 Honor the past with this 100% silk WWII bomber-inspired navy blue necktie. This piece features military fighter sketches in a complimentary soft yellow for enhanced detail and flair.